Q: what is your musical background and how did you become a film composer? Daniel Pemberton : I started making strange electronic music in my bedroom when I was very young and through that I started writing TV ... I got asked by a director to start doing his TV shows while I was still at school, just did a million TV shows, which is where I learned what to do. Somehow, through that, became a film composer. Q: you have such a diverse professional career scoring for video games, TV and films. How do you choose your projects? 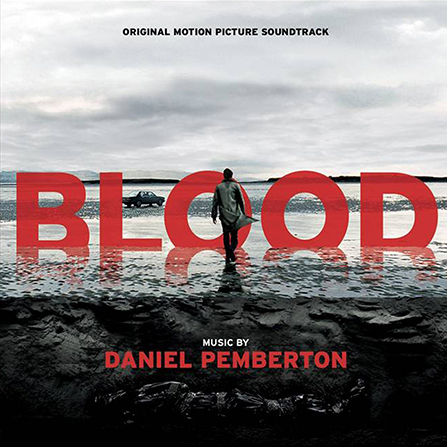 Daniel Pemberton : I always try and do something different to what I've done before. I always try to write a score that feels unique to each project. I find it easier to do that if I'm working on a film that is very different to things that I've done previously. Q: You have worked with so many great directors, Gareth Edwards, Ridley Scott, Danny Boyle. Can you talk about these collaborations and what kind of memories you took away from working with these directors? 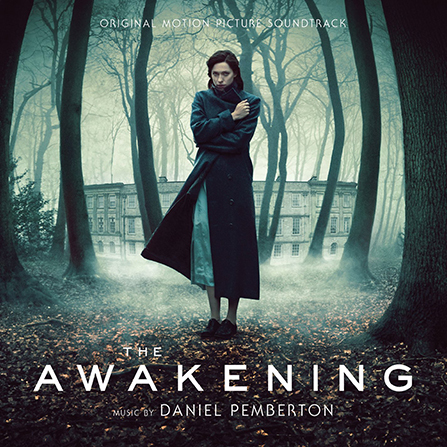 Daniel Pemberton : Every collaboration with a director is quite different, and that's one of the most fascinating things, I think, about being a film composer. You have to adjust how you approach things each time. Gareth, I've got an amazing memory of us making a film eight years ago, when he really didn't have a film career. He was trying to get one started and we made a short film, in 48 hours. Now he's directing Star Wars, which is pretty crazy. Ridley Scott was just a joy to work with. It was very daunting to do my first big Hollywood film, especially with a director as legendary as him, who's had so many iconic soundtracks to his films over the past three decades, have been big influence on me as well. He was a really warm and collaborative person to work with, and would be interested in what I had to say, my approach on things. I think I learned a lot from working with him, of just trying to keep my own voice and not be scared to do what I thought was the most interesting approach on a film. 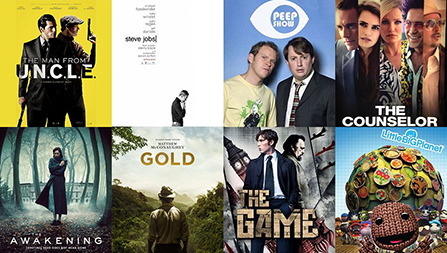 Danny Boyle has got a great enthusiasm and positivity, to pushing you to create something different all the time. Fantastic use of music all through his films, again, that's been a big influence on me. Quite daunting to work with someone like that, but a really infectious and positive director to work with. Q: Speaking of great directors, you recently worked on Stephen Gaghan's film Gold, what was your process for creating that score? What research did you do before approaching this composition? 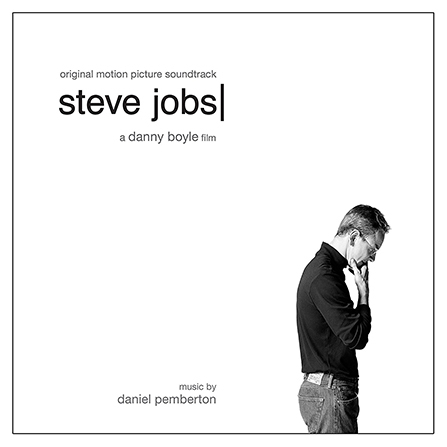 Daniel Pemberton : Stephen was a really great director to work with, very interested in trying to make a different sort of soundtrack, and not do the traditional approach. 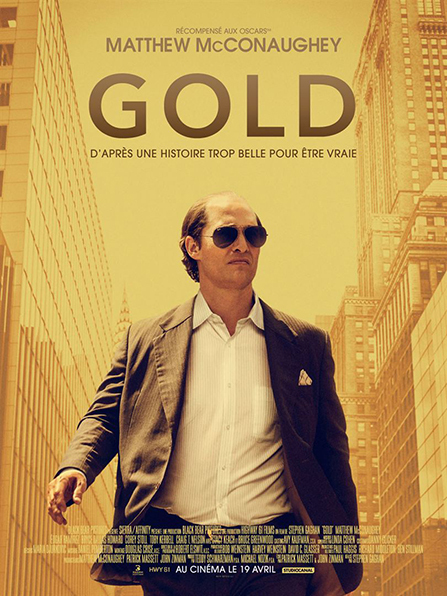 Gold, as a film, was quite a challenge, because there were so many different aspects to the story, and it was trying to find a way in at the beginning. My initial approach was to try and create something out of metallic objects, shiny gold, metal things, because they look like gold. That was like gongs, and bells, it just felt like an interesting way in. It didn't all come together until I realized there was a sound in the film which was absolutely brilliant, I thought, to try and create a score around, which was the New York Stock Exchange bell. For me, that was the symbol of capitalism, the American dream and the American idea of success. I wanted to take that sound, which was the sound of New York, and put that in to the jungle in Indonesia, and then try and take the sound of the jungle, the kind of exoticism, and try and put that in to New York. You'd bring these parallels between skyscrapers, and ravines and mountains, dangerous animals, and also hedge fund traders. There wasn't much difference, you had predators in both areas. That was a good starting point. We found that I could build tracks around that New York Stock Exchange bell, that would have a great rhythm and a great tempo, that really worked with the speed of the story, and really worked with the idea of Kenny, who was on this sort of relentless drive, and relentless quest. You could flip them, and slow them down, and they sounded like bells of doom. You can speed them up, and they sounded like the sound of a line of people, hitting away at things with pick axes. It was a really fascinating way to play with a sound, and use that as your starting point, and your bedrock to build a score around. It's throughout the whole film, that sound, hidden away, sometimes very up front, sometimes hidden away. Q: What were the challenges of that score? Daniel Pemberton : I think there's a lot of challenges in terms of trying to unify a number of different aspects of the story. The relationship between Kenny and Kay, trying to get the beat of his sort of relentless drive and search for something. I think also the exoticism, and the grandeur of the jungle, the energy and danger of capitalism and of New York. It was about tying all these different locations, these different ideas together, in to a score that takes you on an exciting journey through the film. 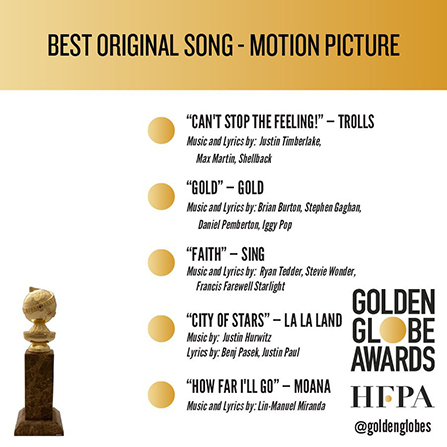 Q: You co-wrote the original song, “Gold” for the film. What was the process of working with music legend Iggy Pop? How did that come about and how did you work together to create the song for Gold? Daniel Pemberton : Stephen Gaghan, the director, was very keen on trying to do a song for this film. I thought it was a great idea to try and write a song, but I was like super under it, trying to record and mix the film score. He came over to London, and he kept going on about it, and I was like, "Okay, let's do that mate. I've got a day off, come over, and let's try and write something." Stephen came round mine with some great lyrics. He'd just written down all these lyrics, poetry, because he's a really great writer, Stephen. He wrote Traffic and Syriana, and he's got really amazing way with words. He just came over with all these wonderful ideas, and potential lyric ideas, and I had to work out which ones were strong, which ones we could craft in to song, and which ones wouldn't really work. We took those, and I pulled them apart a bit. Then we started looking at, let's try and write a song around some of these ideas. I started trying to come up with some chords, and a melody, and we got something in pretty good shape, but it wasn't finished and I had to go back and carry on finishing the score. He said, "Why don't we send this over to my friend Dangermouse?" I was like, "That would be brilliant, I absolutely love Dangermouse, he's one of my favorite producers. Do you really think he'd be up for doing it?" He was like, "Yeah, I think he would be." We contacted Dangermouse, he was up for it. Dangermouse said, "Why don't we bring on Iggy Pop to sing it?" To which point we both went, that is absolutely brilliant. What a fantastic idea. Dangermouse, he came on board, gave it some tweaks, a few musical tweaks, few lyrical tweaks and we ended up with the track we've got. To have written a track with a musical legend like Iggy Pop is really such a fantastic honor. Q: We're big fans of your score for The Man from U.N.C.L.E. Did you get involved at the beginning stages of this movie? How did you choose the different instruments for this score, and can you tell us about anecdotes with your collaboration with Guy Ritchie? 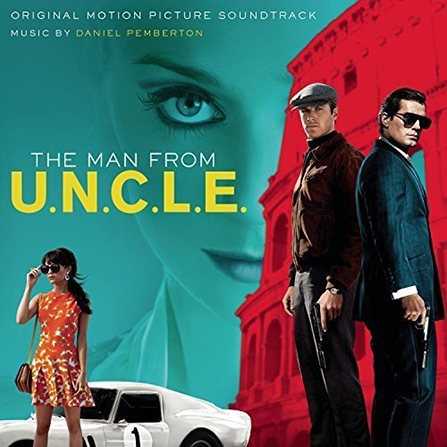 Daniel Pemberton : Man from U.N.C.L.E. I got quite involved just at the beginning of the edit. I've worked very closely with Guy's editor, called James Herbert, who's a real fantastic, creative force behind those films. We would just throw ideas backwards and forwards between the edit and my studio, and work in tandem a lot. I wanted to draw on the great musical language of '60's music, and also '60's spy music, which is kind of a genre in itself almost, kind of exotic. I love the way those scores were very bold implementation, and very bold, simple beats or melodies. I wanted to try and capture as much of that color, and excitement of that era, and make it feel very period, but also quite new. Guy is a fascinating character to work with and would constantly push you further than you think you could be pushed, in trying to create a piece of music that every scene it felt completely different, and would feel like a great track, rather than just a piece of score. 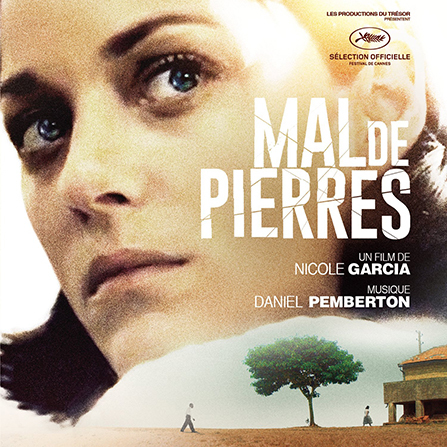 Q: Recently you worked on French director Nicole Garcia's film, Mal de Pierres. Did you know her movies before working together ? Daniel Pemberton : I wasn't familiar with Nicole's work before, but I was with the film’s star, Marion Cottilard French films, and I always found I really liked the films that Marion Cottilard chose to do in France. I was really intrigued when I was asked to have a look at this movie. I really loved it. We had to do it very quickly, because the film got into Cannes for the Palm d'Or, and suddenly had to be scored very fast. It was a very intense process, with me writing things in London, and a bit backwards and forwards. Nicole would come over and sit in my studio, I would play things, and sometimes I'd rework stuff with her, in my flat. Other times I would write stuff and send it to them. It was a very intense process. I wanted to try and create something that was a bit more traditional, in a way, compared to a lot of the scores I've done, because it just felt like that's what the film needed. There was no point in trying to be clever for the sake of it. I think you've always got to go with what the film needs, and it was a very tender story, and I wanted to create a score that emotionally had that in it as well. It's quite a traditional orchestral score, which is nice for me to do for a change, because I always seem to be doing these very crazy, experimental ideas. It's nice to go back to just something which was based on musicality, and score. It was great, it getting in to Cannes, for the Palm d'Or, that felt like that we'd won. Q: What was your process for creating this score? Daniel Pemberton : My favorite studio is Abbey Road, I love recording at Abbey Road. I try and do all my scores there. They've got a really great team of people who are really fantastic, and I love working with them all. Q: Can you talk a little bit about your composing and writing processes? Daniel Pemberton : I like, if possible, to try and get involved in the film very early on, normally around script stage, before they start shooting. That gives me a lot of time to experiment and fail. I love experimenting, and just trying to work out how you could do something very differently. Often you don't get it right, but if you were there right from the beginning you have more time to make a score that's more unique and more individual. You've also got time to fix it, if you're doing something too crazy and it doesn't work. Whereas if you come on right at the end you don't have that, and you have to go for the safe option. The earlier I'm on, the more I can mess around, and the film soak in to me, and soak in to how I'd like. That's my ideal way of working, and I change it up for every score. King Arthur, we tried all this stuff with medieval instruments, whereas Steve Jobs, I did a lot of experimenting with '80's electronics and opera music. I like to try and make every film different, and the more time I have to mess around, the more likely it is I'm going to get quite a unique score. Q: Okay. Are there any composers, or types of music that inspire you? Daniel Pemberton : Yeah, God, millions. I try and soak up all kinds of musical language, really. It all depends, I guess, on what kind of head space I'm in at that moment. I'll sort of soak something up from everyone, from Bach to Harold Budd and Brian Eno to other ambient, piano composer from the '70's. There's so many different types of music that have inspired me, because I always try and find something from any music. There's always something in there that would interest me, generally. Whether production, musicality, performance, it's quite hard to nail that down to just one or two people. In terms of film music, I'd say Ennio Morricone is probably the biggest inspirational character, in terms of the fact that he wrote, I think very experimental music, but also very melodic and emotional. I love trying to take those two worlds and put them together. Q: Which directors would you like to work with in the future, and why? Daniel Pemberton : I don't know. I think it's more projects really. The kind of directors I like to work with, often they have long standing relationships with composers, which is why they have great scores. I wouldn't necessarily want to single out any particular director. It's more projects; projects where I can do something different or unusual, that will really excite me. Rather than ... Any director who wants a different approach, or wants me to try and come up with a new way, or just an interesting way, of doing something are the kind of people I want to work with. I'm not really fussed about doing massive, huge films. I'm much more interested in working with people who want to make cinema exciting, by it being something new. Q: That being said about new. How's your current project, King Arthur: Legend of the Swords ... A little bit about working with director Guy Ritchie. Daniel Pemberton : King Arthur was a huge, huge project that I took on. It's a really crazy score. It's got a very experimental ... For a Hollywood blockbuster it's crazy experimental. It's got a lot of me screaming and breathing throughout the score, which is pretty interesting. We've got loads of medieval instruments, we did a lot of research in to making instruments. It was trying to create, again, a world like Guy's films. Films that are unique, and I think that score's going to surprise a lot of people when it comes out, hopefully. It's a lot of fun. Q: Do you have any words of wisdom for upcoming composers, or people who want to become film composers? Daniel Pemberton : I think keep working. Try and do as much work as you can, and try and learn as many different approaches to music so you can start creating your own approach through those. The more you can find your own voice the better, the more chance you've got of standing out. If you sound like everyone else, why would someone hire you? If you sound like yourself, then you've got something no one else has got. An huge thanks to Ray Costa for helping us to have this great interview..